From Tuncurry, across bridge to second roundabout then turn right and first left. 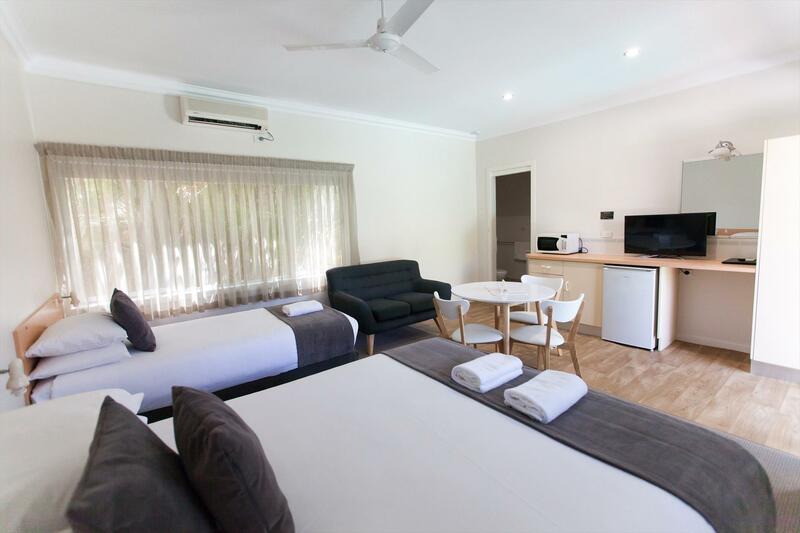 11 spacious rooms in a quaint motel and in the heart of Forster. A short walking distance to Wallis Lake and Forster main beach. 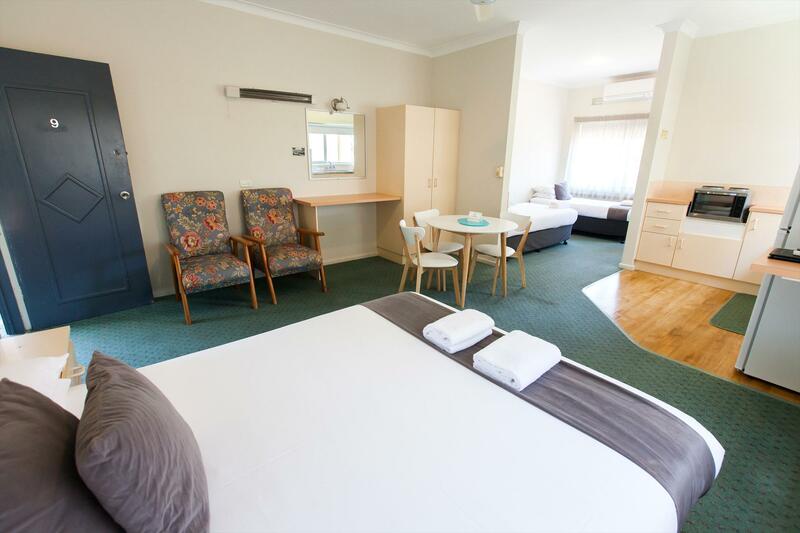 Air condition, spacious motel unit with tea making and toaster, queen bed and 1 single bed, table and chairs, lounge, breakfast available, linen supplied, serviced daily. Family self contained,full cooking facilities, air conditioned with queen bed and two to three singles, table and chairs, lounge chairs, serviced every day, linen supplied. Cancellation is allowed 48 hours prior to arrival.